The crux of the story is that BJ Blazkowicz has gone missing without a trace. It’s believed he may be tucked away somewhere in Nazi-occupied Paris, meaning a rescue operation is in order. With no one worthy of Blazkowicz’s trust, his twin daughters Jess and Soph serve as the leaders of said rescue operation. 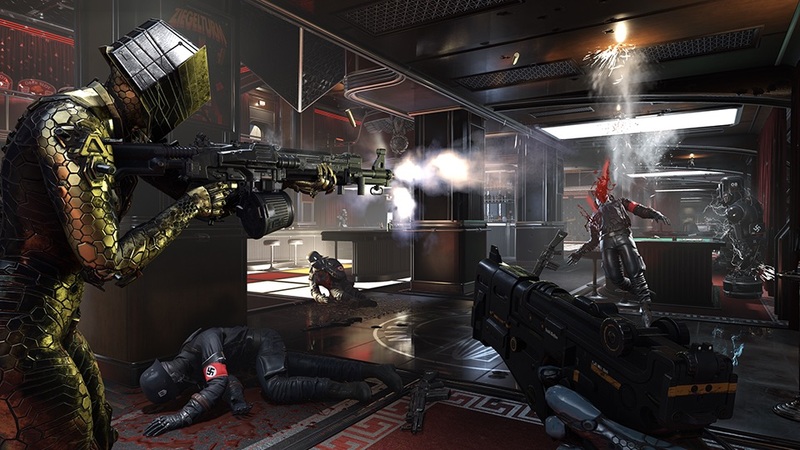 Therefore, for the first time in Wolfenstein, players will get to unleash mayhem in co-op. Other things are set to change, with regards to gameplay. For instance, new RPG elements are entering the fray. These new elements will allow players to “level up and unlock new abilities, weapon attachments, gadgets, cosmetics and more.” Moreover, updated iterations of a few of the weapons featured in Wolfenstein II: The New Colossus will also make an appearance, such as the Laserkraftwerk. Of course, brand-new weapons and gadgets will be at the twins’ disposal, too. In addition, a Deluxe Edition has been unveiled, which costs $39.99, $10 more than the standard version. Those who purchase this version of Youngblood will gain access to a “Buddy Pass.” The pass allows players to essentially share a copy of the latest Wolfenstein with a friend. So long as said friend is playing co-op with someone that owns the game, they will have access to the title free of charge. Additionally, the Deluxe Edition will grant buyers access to a Cyborg Skin Pack, which includes a Terminator-like skin for the twins’ Power Suits, combat knives, guns, and hatchets.